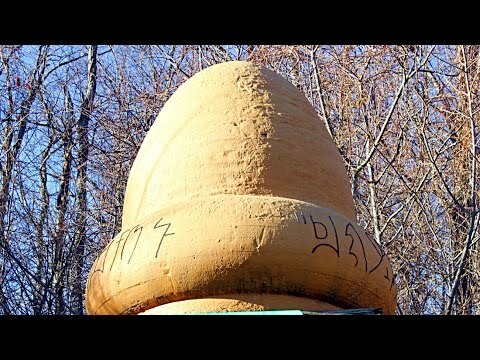 Kecksburg UFO – Aliens in Pennsylvania? Hey guys, here in Kecksburg, Pennsylvania you can see a large weird object placed on top of a metal platform near the town’s fire station. Just below it is a sign that says Kecksburg UFO, December 9, 1965. This is a mock-up of the UFO and is referred to as the space acorn by locals. What’s the story behind this? Did a UFO really land here? Here is a newspaper that says “Residents: UFO landing was a hoax.” It was published in 1990 by Lodi News Sentinel operating out of California. But is it really a hoax? To understand the real story, we should find newspapers that were published the day after this happened. Here is what you find on December 10, 1965: Front page of Chicago Tribune says “Ball of Fire Sighted in Sky, Shredded foil strips found in woods ” Another daily from Pennsylvania says “Army Ropes off Area, Unidentified Flying Object falls near Kecksburg ” “U.F.O starts many fires” says this newspaper. Now, these are just a few examples of what really happened that day; there are many more newspapers that published similar pieces. The impact was even registered on a seismograph in Detroit which is about 300 miles away. So something definitely crashed in this town. There is no question about that. This is what I could gather. A weird flying object described as an orange ball of fire was seen moving across the night sky. People from multiple states witnessed this, and it was even seen as far as Toronto, Canada. It fell in the wooded area of Kecksburg. A few people even saw this object after it crashed, they describe it as a bronze colored metallic object with no screws or seams. It was about 12 feet tall and 25 feet in diameter and it looked a large acorn. It also had strange writings on it, similar to Egyptian hieroglyphs. So, they immediately call the police. The police arrive and after looking at this, they immediately call the army. Within an hour, a team of 100 guys come in and they seal off the area and make sure the public cannot see what is going on. Reports say, they took this large object in a flatbed trailer covered in tarpaulin. So what is this mysterious acorn? Could this be a meteor? After all, many newspapers called it a ball of fire, which is how a meteor looks. I will tell you why it can’t be a meteorite. Why would the authorities take away a meteorite with such secrecy? Why is not even a single photograph, released to the public? Do meteors move in zigzag fashion and slow down before reaching the surface? You can see meteorites even in Museums, so it can’t be top secret material. So if it is not a meteorite, could it be a man-made spacecraft? Note the similarity between the Nazi bell and the Kecksburg acorn. Did surviving Nazis use it for flying and crash land here? But, remember this happened 50 years ago, so this information would no longer be classified and would have been released to the public. This logic applies if this was a Russian or even an American spaceship. So, if something definitely landed here, and if it is not a meteorite or a man-made craft, what else could it be? Is it an alien spaceship? This is the question asked by a lot of Ufologists. So, they sue NASA in 2003, to release the records. NASA released this document soon after with an interesting first page. It says “we regret to inform you that we cannot locate the two boxes of records. The boxes are identified as missing since 1987.” Some people call this a cover up and some people point out that other records have been lost before. No matter what is true, we don’t have any real record of what landed in Kecksburg. So, did extraterrestrials land here? What do you think? I am Praveen Mohan, please leave your opinion in the comments section. Thank you for watching and talk to you soon. .